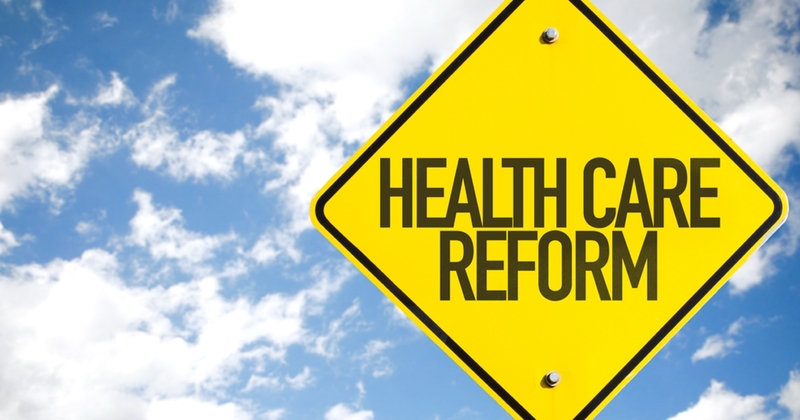 It is now time to move forward with real health care reform. Despite assurances by Democrats that the ACA is “doing well,” the reality is that the private health insurance system, of which the ACA is part, is imploding. The cost of premiums had already been rising well beyond the rate of inflation for years prior to the ACA’s passage, and continues to accelerate now. Explaining the more recent spikes is simple. The ACA eliminated the pre-existing condition exclusion so that people with chronic illnesses would be guaranteed coverage. The enormous expenses that accompany this intensive care cannot be balanced by compelling young, healthy consumers to enter the system. This has pushed private insurers to raise premiums and deductibles while shrinking networks and reducing payments to providers. This pattern is not sustainable. Let’s stop pretending that it is. —Various and sundry alternatives—e.g., Health Savings Accounts/Flexible Savings Accounts. Because each system requires its own administration, the cost of doing business is inflated. Adding further to costs are the powerful lobbies—pharmaceutical, health insurance, hospital and medical device companies— that work under a mandate to guarantee profits for their shareholders. The net effect is the highest per capita expenditures for care in the industrial world. Yet in terms of efficiency, equity and outcomes, The United States is consistently at the bottom of most lists. Although the Republicans have failed to “repeal and replace” the ACA, we still must deal with the reality that we have a crumbling system. Multiple solutions are being offered. The progressive wing of the Democratic party, led by Bernie Sanders (despite the fact that he is an Independent), is pushing for a Single Payer, Medicare-For-All plan. While this may appeal as a dramatic opening negotiation salvo, insisting on its passage as a “bottom line” is a doomed strategy. To make real change, there needs to be an acknowledgement of the beliefs and desires of those who occupy different parts of the political spectrum. One of the primary criticisms of the ACA has been its requirement that everyone purchase health insurance. For many citizens, this flies in the face of what it means to be an American. We value individualism, freedom and choice. The mandate feels like a violation of these ideals; especially if that perception is coupled with the creation of one more bloated federal bureaucracy to support a Medicare-For-All system. It will be seen by many as government over reach; especially at a time when government is held in very low regard. When considering solutions to our health care challenges, we need to keep things “American”. It is essential to provide choices. Let’s not eliminate the system that we already have in place. Instead, let’s add one more item to the menu: a choice that will, by its very nature, shake the foundation of the existing system. Simply stated, the Public Option allows people to buy into the Medicare system. Rather than purchasing a private insurance policy, a person could spend their money on a government plan. Let’s imagine: Americans are suddenly allowed to buy into Medicare at a price that is lower than the policies being offered by Aetna, Cigna or the Blues. The coverage is good: There are minimal deductibles and they can see their doctor of choice. (All doctors participate–even chiropractors!) Contrast this with the high deductible/ narrow provider networks currently offered with a standard private policy. Millions of Americans would voluntarily and enthusiastically choose this Pubic Option. In addition, the tax dollars used to pay for subsidized policies for low income individuals and families, could be diverted from private insurers back into the federal coffers. What happens next? As throngs of “customers” abandon their traditional plans, existing insurance companies will be forced to figure out ways to reduce their premiums while maintaining quality; or lose the business. Up to this point, these companies have had no real competition. Why is the government complicit? Because a Public Option is the health care industries greatest nightmare. The primary obstacle to the Public Option introduction will continue to be the politicians and the lobbyists that influence and support them. The Public Option respects America’s long tradition of choice. No one is compelled to buy into it. People can stay with their old plan, get an HSA from their employers, or even purchase supplemental private policies to complement the Medicare buy-in if they want expanded benefits. The mandate that everyone must buy some type of insurance, depending on preference, needs to remain in place to maintain the economic stability of the system. But there will be multiple options to choose from. The downward price pressures that Public Option will create will make procuring insurance easier. The real bottom line? We can have great health care, and maintain our national ethos. By creating a truly free market, the forces of competition will be brought to bear upon a system that has long operated outside of the rules this country claims to champion. I agree that choices are the best and if there is a Medicare buy-in option, the insurance carriers will have to react and decrese premiums to stay competitive. I think we need to re-brand the health care focus from Single Payer to Public Option. So, if that American who freely chooses not to have any insurance is wheeled into the emergency room, do you expect me to care for him for free? Angela, I think everyone must have coverage in part for the reason you point out. However there needs to be more choices than are currently being offered. I believe that introducing the Public Option will exert downward pressure on prices and make the system more solvent.